Fort Lee has a thriving business district, thanks in large part to our strong local economy. Here, you will find enticing restaurants, unbeatable entertainment experiences, boutiques that give Manhattan a run for its money, and plenty of high-quality specialty services that make our lives better. As a way of saying thanks for your continued support, these businesses are offering ways to save on services during the Fort Lee BDA’s Frosty Hour Specials promotion. Dog owners, rejoice! You want to treat your pet to an amazing experience they will love? Take them over to Cookie & Friends – 1580 Lemoine Ave. From Monday through Friday, 8am-7pm, enjoy $5 off of your first visit for grooming or daycare. Please note that daycare services are limited to dogs under 25 lbs only. Cre8sArt is Fort Lee’s premier art education center, offering classes for children, adults, and everyone in between. As part of Frosty Hour Specials, Cre8sArt is offering a free art class for new students and $20 off for returning signups from Monday through Friday, 3 pm – 8 pm. Find their center at 210 Main St or call 201-203-7010 for more information on classes. Looking to get fit this year? Try indoor cycling! On Fridays at 7 pm, come for a first free ride and participate in their “Frosty Hour Ride” where you can enjoy a drink on the house afterwards. Cyclebar can be found at 2012 Hudson St.
Have you been putting off purchasing that new pair of eyeglasses you desperately need? Now’s the chance to finally do something about it! Visit Envision Eye Care at 215 Main St between the hours of 2 pm and 4 pm, Monday through Friday to receive 20% off an eyeglasses purchase (frame and lens). Please note, this promotion may not be combined with insurance. Treat yourself some afternoon and visit Fabulous Nails at 515 Main St.! From 11am-2pm, Tuesday through Friday, enjoy a mani/pedi for only $23. You’ve earned a relaxing afternoon, and Fabulous Nails can help you look your best doing so. Want to have your hair chemically treated by a trained professional without the high price tag? Juun Beauty Salon is offering 10% off all chemical treatments Monday through Wednesday from 10 am until 3 pm as part of Frosty Hour Specials! Find their salon at 200 Main St, 2nd floor. Looking for new frames and lenses but don’t have vision insurance? This is your chance to save big on eyewear. Visit Pink Vision Associates at 1562 Lemoine Ave on Mondays between 2 pm and 4 pm for their Frosty Hour Special: 20% off frame and lenses with no insurance and 50% off a second pair of single vision frame and lenses. Interested in trying yoga? Longtime yogi? Either way, Pure Bliss Yoga has a Frosty Hour Special you won’t want to miss. On Tuesdays at 3:45 pm, enjoy a special $10 drop-in class. The Pure Bliss Yoga studio is found at 209 Main St., 2nd floor. Burn calories, freeze fat, tighten skin, recover, and boost immunity with cryotherapy services offered at Revitalize Cryo & Wellness at 1637 Palisade Ave. From Monday through Friday, 3 pm to 6 pm, enjoy any service at 5% off the regular price, including cry facial, whole body cryo, local cryo, and infrared sauna. It never hurts to know how to dance! Have fun with a loved one, show off at the next formal event you attend, or just enjoy learning something new. Royal Dance School wants to help you try dancing without breaking the bank. As part of Frosty Hour Specials, they are offering a free trial class. View their website for schedule. Tired of trying salon after salon and not finding the right fit? Salon Mirage is where you need to go. As part of Frosty Hour Specials, make an appointment with the salon Monday through Friday from 10 am to 7 pm and receive 20% off any services in the salon. This promotion is valid for first-time customers only and customers must call 201-592-1010 to schedule the appointment. 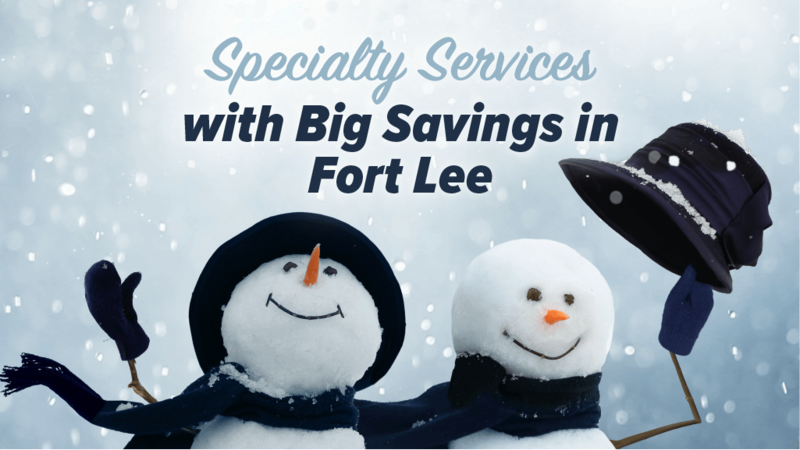 Frosty Hour Specials offers Fort Lee residents and visitors great ways to have fun at unbeatable prices! Be sure to check out the full list of Frosty Hour Specials to see what else the BDA is offering.